The Chorkies are dogs that resulted from the crossing between the Chihuahua and the Yorkshire Terrier, which are two purebreds. 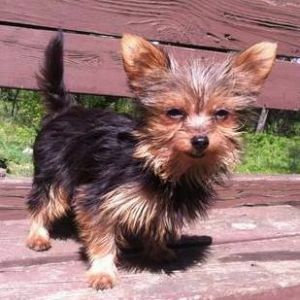 The Chorkie is characterized as being a small breed of dogs, which are also very active and have a very attractive coat. It is the cute looks of these dogs that made them being perceived as homely, as a lot of people just got charmed by them. The Chorkies seem to be dedicated to indoor living and they do very well in such environments and their life expectancy can go over ten years. The results of the crossings between two or more breeds are always different, including from a physical point of view, depending on how genes work, combine and pass on the genetic information. However, Chorkies have rather small variations physically as compared to their parents. They can have different coat colors and their ears can be either droopy or pointy. Because their weight doesn’t usually go beyond 5 kilos, they are considered pet toys. Despite the fact that there is no specific information or an officially recognized moment as the start for the crosses between the Yorkshire terriers and the Chihuahua, it is considered that the beginning of the last decade in the twentieth century was the time when breeding the Chorkies on purpose occurred. Similar to quite a lot of other mixed breeds, the Chorkies too are not recognized as having pedigrees, although both their parents have. It is still not officially a purebred and therefore this breed is not in the United States pedigree registries. Due to their energetic nature, it is highly recommended that the diet for these dogs is made up of high quality food, with proper levels of vitamins and other nutritional elements. When it comes to coats and the colors of the coats, there is no limit for the Chorkies, any color being possible to be found on them. They do have a tendency towards the Chihuahua’s color palette, but a lot of them inherit the grizzled aspect from the Yorkie side of the bloodline. Similar to Yorkies when they become adults, the coat gains a lighter metal gray shade. The length of the coat can be either medium or long, depending on what type of coat the Chihuahua parent had, either a long or short one. With a smooth coat and a rather low level of shedding, brushing and un-tangling the coat will be required periodically, once per week or once every two weeks. A special care needs to be directed to the ears, where the excessive growth of hairs can lead to infections. An obvious heritage from their parents, the Chorkies are extremely trainable, so this process will not be a burden for anyone. Even so, like a lot of other dogs, they may have moments in which they are stubborn, but these moments can be overcome by engaging patience and assertive leadership. The training should start at an early age. The parents of the Chorkies are energetic, clever, and active and they are fond of being involved in all sorts of activities. These traits passed on to the Chorkies as well, which are even more playful and entertaining. They are adorable and although they will enjoy cuddling, at times they may act as fearsome, which is another reason for an early training. Even if some pass on the idea that hybrid dogs are less exposed to health problems, it is also true that they may inherit health conditions from both parents. Chorkies are more exposed to skin problems and allergies. 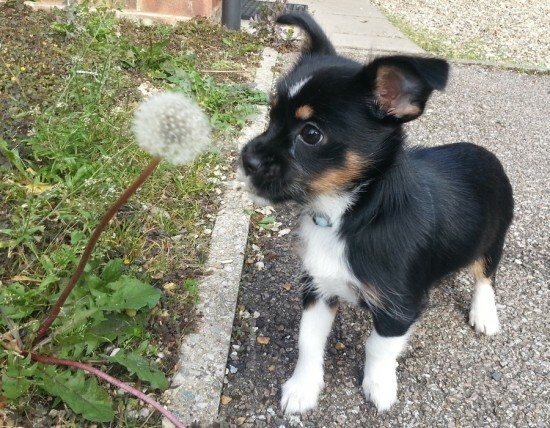 They also have a smaller sensibility to critical ailments than other breeds. In order to feed their energetic nature but also to help them keep a well balanced life, with a good physical health and positive mental health, allowing the Chorkies have a lot of exercise is crucial. They will require daily exercising, even if sometimes this reduces to shorter walks. As with all dogs, the Chorkies need to start the training process when they are very young of age, when they also need to receive a proper level of socialization. This is the best way to ensure that the Chorkie puppies will have a positive and consistent behavior towards outsiders of the family, be it either people or pets. 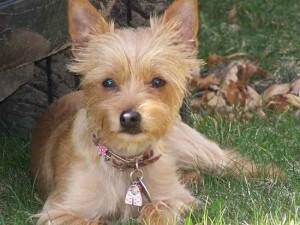 This entry was posted in Chihuahua Mix, Yorkshire Terrier Mix. Bookmark the permalink.